People are often overwhelmed with advertisements, pitches and interruptions everywhere they look around them, and though you might consider that your ad is special, there is a great possibility that to the reader it is just the same as the others. So, it becomes very important while sending a business message to your potential customers or clients that it grabs the audience’s attention. We all receive such promotional messages in our inbox and immediately without even opening them ignore or even delete them. For some reasons such email marketing efforts are often a waste as they don’t reach out and say “click me” or “open me”. Email marketing is considered to be one of the oldest means of online marketing campaigns where it is used to build relationships with potential and existing customers to increase lead generations and conversions. 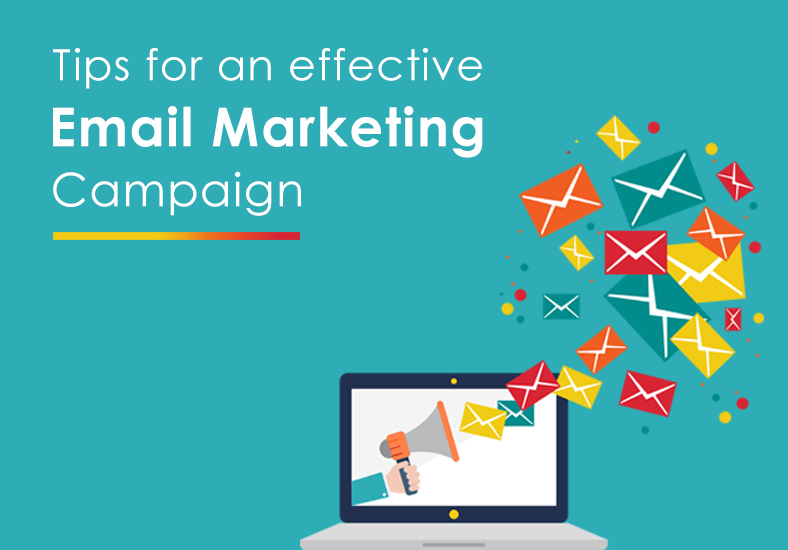 But before you start with your email marketing campaign, it is important to understand the rules to craft an effective campaign. Let’s take a look at it. Though you may already have an existing list of clients and prospects, it is important to work or build upon this list. Read the mind of the customers and identify what they want to receive in their inbox and then decide on the call to action. Put a subscribe form on your web pages, blogs or articles so that people reading the information might be willing to receive more content from your site. You can offer something take away to your email receivers, offer a product update of their interest, or state the benefits of registering for your website. Great subject line: An attractive subject line often encourages people to open the email and take the action before getting engaged with the company. Clear and entertaining voice: Ensure that once the email is clicked, it contains some information that is of the reader’s interest. Personalized content: Based on the subscriber’s personal data, offer them personalized content and encourage them to avail the offer or pass on to other prospective clients. Use A/B testing to optimize click and open through rates: When we talk about email A/B testing, it is referred to creating many variations of the subject line of the content of the body so as to identify the one having the highest engagement and conversion rate. Though this can be a time consuming process, but it of course has the biggest impact on your business bottom line. Ensure that the email is not sent to spam: If your emails are sent to the spam, then they will never be viewed by the receiver and won’t generate any positive results. So, the first step is to make sure that the mail reaches the receivers inbox and don’t accidentally get flagged as spam mails by the filters. While running an email marketing campaign, consider the features that are most common among spam messages. Create an email follow-up strategy: Now that a potential customer has subscribed or filled the contact form, it is very important that they receive a proper follow up email for the success of your campaign. Employ an auto-responder sequence for an immediate follow up email, which should include an introduction of your company and what you intend to do with the new subscriber’s email address. Make your call to action obvious: The prime target of your email marketing campaign is to increase the traffic to your site and encourage them to avail your services. So, if there are no clicks, it means no customers. it is vital to make your links obvious and offer the readers with more than one opportunity to interact. The more exciting your call to action is, the more enticing it will be to your audience. Make it mobile friendly: The first thing that people do when they wake up in the morning is to check their emails over their phone. In fact, about 66% of the emails sent are checked on smartphones or tablets. In that case, if your emails are not properly optimized for viewing on various mobile devices, then chances are high that they may never be viewed. Making your emails mobile friendly is imperative. Choose some best email marketing tools: Email Marketing Automation tools help to automate your marketing campaigns and schedule and track them accordingly. Choose some of the best automation tools like MailChimp, Sendloop, Infusionsoft, GetResponse etc. for your email marketing campaign. Track the data: Most email marketing tools offer data on the open rate, unsubscribes and click through rates. Once you have the detail data, compile them to give you specific clues that will help you understand the loopholes of your marketing campaign. And based on the information you can modify your strategy to generate better results. Becoming successful in your email marketing campaign involves a process and a perfect combination of good planning and analysis of data can help you to make great improvements in your campaign and help you to be successful in your business.